As I watched news coverage of white extremists marching across the University of Virginia on Friday night, I took to social media to be in community with others who were also angry and frustrated by the racist display. What I did not expect to see on my timeline were flurries of messages criticizing Black students for choosing to attend the Historically White Institution (HWI) and not a Historically Black College or University (HBCU). This is not the first time this type of criticism has arisen: it happens virtually any time a racist event occurs on a white campus. So, to anyone who thinks taunting Black students for the racist events that happen at HWIs is reasonable, then you underestimate how white supremacy has infiltrated your thinking. Let's get one thing clear: yes, I am a Black alumna that attended an HWI; a few, in fact. Yet, I have no intention of excusing white colleges of their racist histories, nor do I adhere to the lie that they are somehow superior to HBCUs. HWIs are regarded with higher value because white supremacy ensured their institutional development through public and private investments, appropriations, and grants. Research about college choice among Black students shows that students who choose an HBCU are influenced by personal relationships, college reputation, and seeking to affirm one’s Black identity. Yet, we cannot vilify Black students who choose to attend another type of institution for these very same reasons. In fact, many Black students choose their colleges based on geographical vicinity and affordability, which can be barriers to attending an HBCU. Critiquing Black student college choice disregards the fact that Black students are increasingly: enrolled part-time, parents or caretakers, work full-time, international, and 24 years or older. I'm saddened by the number of tweets I've seen encouraging Black students to transfer from UVA. We are Black on every campus. Black students largely pursue postsecondary education at Predominantly Black Institutions, community colleges, regional colleges, for-profit institutions, and open-access colleges. By the way, some HBCUs do not have the resources to make expensive recruitment trips across the country, especially to states where HBCUs do not exist. The histories of Black students at HWIs and HBCUs have been inextricably linked long before desegregation and affirmative action. Rather than establishing professional and graduate education at HBCUs, many Southern states established out-of-state scholarships to (intentionally) send Black students away. 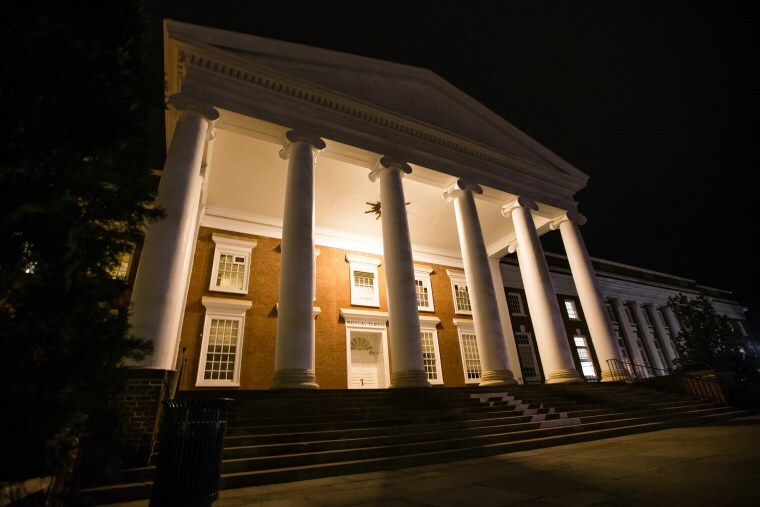 In the case of Maryland, for example, Black students who wished to pursue law could not do so at then-named Morgan College or Princess Anne Academy, the state’s Black land-grant institution. As a result, Black college graduates enrolled at HWIs. The idea — “if all Black students only attended HBCUs” — uncomfortably aligns with proponents of racially segregated schooling, an institution that is rooted in white supremacy. While it is great to imagine a world where we can adequately support and grow Black colleges by redistributing enrollments to Black colleges, this ignores the fact that 1) colleges aren’t grown solely by revenue from student tuition; and 2) institutional capacity, including housing and food services, student support services, faculty, and staff, does not grow overnight, and sudden demand for increased capacity could be detrimental to campus environments. If your response to this horrific display of racism + terrorism at UVA is "you should've went to an HBCU" you need to reevaluate your life. All Black educated folks need to stop reinforcing white supremacist ideas of who Black students in American higher education are, or should be, by vilifying the choices they make to obtain the degrees that will help them earn higher wages and economic stability. HBCUs are not exempt from the infiltration of white supremacy. HBCUs cannot protect students from white supremacy. HBCUs exist and survive by white supremacist educational policies. There is no denying the political rhetoric that devalues HBCUs. It is wrong. The Black middle-class would not exist without the work and investment of HBCUs into Black students. However, elevating Black colleges does not have to come at the expense of shaming Black students who must endure racist campus climates, microaggressions by faculty, staff, and students, and now, white extremist mobs on campus. Katherine Wheatle is a researcher, policy analyst, and historian of higher education. She is advocates for vulnerable student populations, especially students of color, first-generation students, and students from working-class and low-income communities. Katherine is a researcher, policy analyst, and historian of higher education. She is advocates for vulnerable student populations, especially students of color, first-generation students, and students from working-class and low-income communities.